07/04/2016 Check out this bird’s-eye view of what’s been going on at the Boiler House site. 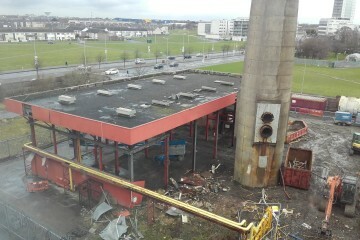 The WISER LIFE project is bringing about the transformation of the old Boiler House into an environmental education centre here in the heart of Ballymun. Watch this space as we bring to life this vision for sustainability, reuse and the circular economy. The attached series of time-lapse images was taken at the site by Ronan Glynn Dublin City Council during the first two months of construction.